When there’s ‘bugger all’ on the bookshelf that addresses the unique challenges of Australia’s urban and suburban neighbourhoods for the mission of the church, the arrival of a book like Tim Foster’s The Suburban Captivity of the Church is worth cheering for. Books like this one flow in a steady torrent from North America, but the cultural differences are vast. Given that we are among the most urbanised societies on earth and take first place in the propagation of suburbia, it’s always frustrating to me that we’re content to let the thoughtful missiology of other places set the agenda for us to the extent it does. Tim is an Anglican minister who currently shares in the leadership of Melbourne’s Ridley College. His book arises out of his own transitions in ministry, from the leafy surrounds of Sydney’s middle suburbs to the cultural and social diversity of the inner city. With this move comes the challenge of understanding the nature of ‘the good news’ in a community whose values and perspectives on the world contrast so starkly with those of the near but distant ‘burbs. Given how much the values of suburbia have shaped the church’s understanding of the gospel, Tim makes the case that we are pressed ever more urgently to the work of contextualization. In part, I would think, the test of a good book it that it spurs a reaction. Tim’s book does this for me. Though we have never met, I have a suspicion that Tim and I might have some theological differences. Perhaps Tim has a clearer sense of the gospel as ‘a message’ — a clearly defined and methodically presented outline of truths —than I do. The book is written in two parts. As helpful as Part 1 might be, I came to the end of it feeling as though Tim’s priority on a right ‘understanding’ of the gospel message and a better ‘presentation’ of its truths was not one I could embrace with enthusiasm. To be honest (and probably unfair), his alternative readings of ‘the gospel’ left me feeling as though those ‘four spiritual laws’ were hovering ominously in the background. That said, Part 2 was more engaging read. Tim’s attempts at exegeting the cultures of the inner city ‘yuppies,’ ‘hipsters’ and ‘battlers’ (among others), points the reader to the importance of taking our contexts and communities as seriously as we do our sacred texts. What’s more, it’s here that Tim looks for ‘gospel themes’ that emerge from this engagement. There is much here that is challenging for an urban pastor like me. I would only long for a more sustained engagement that Tim can provide here. As someone who attempts to write about similar issues, I commend Tim for the book. If it helps practitioners like me to engage more intentionally and intelligently with our own neighbourhoods, and from a distinctly local perspective, then it has served us well. Tim Foster, The Suburban Captivity of the Church: Contextualising the Gospel for Post-Christian Australia, Moreland: Acorn Press, 2014. Just two months ago the book No Home Like Place: A Christian Theology of Place was launched. The work of Canadian scholar of Christian mission and formation Leonard Hjalmarson, it’s a book worth commending. Though I have never met the author in person, I have long admired Len’s voice in significant conversations on the nature of Christian mission and the role of the local church. His early books — including Missional Spirituality and An Emerging Dictionary of Gospel and Culture — have been thoughtful contributions to my own thinking, so when asked to add some words of endorsement to this one, it was an easy ‘yes’. There are many more notable responses to the book, some of which you can find here. I can only assure you that for those committed to deepening the church’s most local commitments to mission, this is a book worth reading. Some time back I was asked to endorse the book The New Parish: How Neighbourhood Churches are Transforming Mission, Discipleship and Community by Paul Sparks, Tim Soerens and Dwight J. Friesen. It was one of those times when a ‘yes’ was easy. I’ve followed the ministry of these three from afar for some time. The growing influence of their Parish Collective in calling the North American church to rediscover its local identity has been significant. Back when my own God Next Door came out, I was heartened to hear stories from people far and wide who were similarly passionate about the neighbourhood identity of the church and the renewal of rootedness in local place and community at the heart of Christian mission. Sparks, Soerens and Friesen were three of those. But you don’t need to take my word for it. Others of far greater insight have said much more. I certainly recommend it to anyone seeking to better understand the mission of the church in our day and the distinctive impact that genuinely local communities of faith can have on the wider city and, indeed, the world. There’s an introductory PDF here, including excerpts from the first chapter. And you can purchase the book here. I feel like a grump. An urban grouch. Here I am sitting in my city apartment, listening to the happy sound of empty bottles being dumped into the industrial bins below my bedroom window and wondering why on earth people would chose to live anywhere else. I like it here. The city centre has been my neighbourhood for a long time now. Though I am a product of suburbia, I can no longer imagine it as a place to live. Home is here, tucked in at the corner of Russell and Flinders. Apparently, though, I shouldn’t be so content. As a dweller, I’m abnormal. Marginal. Out of step with real Australia. Here in the most ‘relentlessly suburban’ nation on earth, my residential ideal should include ‘the buzz of bees, the sweet smell of mown grass and children playing in the garden with a dog yapping at their heels.’ Because it doesn’t, I am dismissed as one of those central city elites, the ‘affluent minority’ that knows nothing of the aspirations of ordinary Australians. There is, apparently, a stark social divide, and here I am standing on the wrong side of the fence. 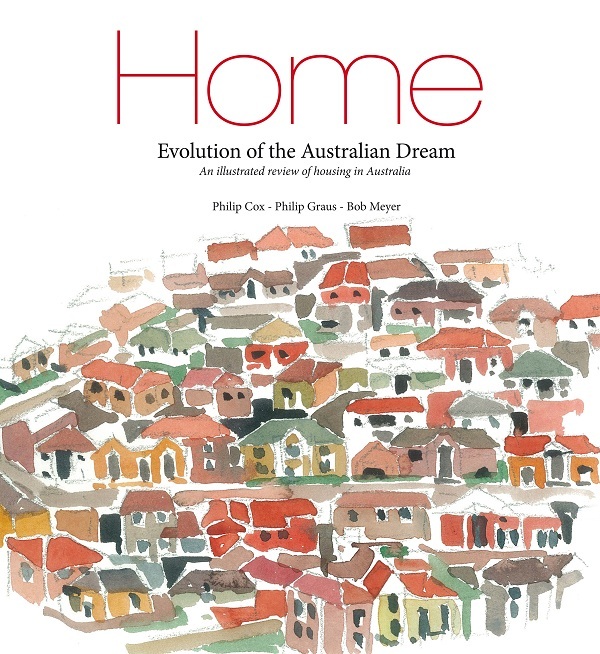 I’ve just finished reading the beautifully produced book Home–Evolution of the Australian Dream: An Illustrated Review of Housing in Australia. Written by three notable architects / urban planners, it’s an exploration of the ‘dwelling’ as the basic element of our cities. 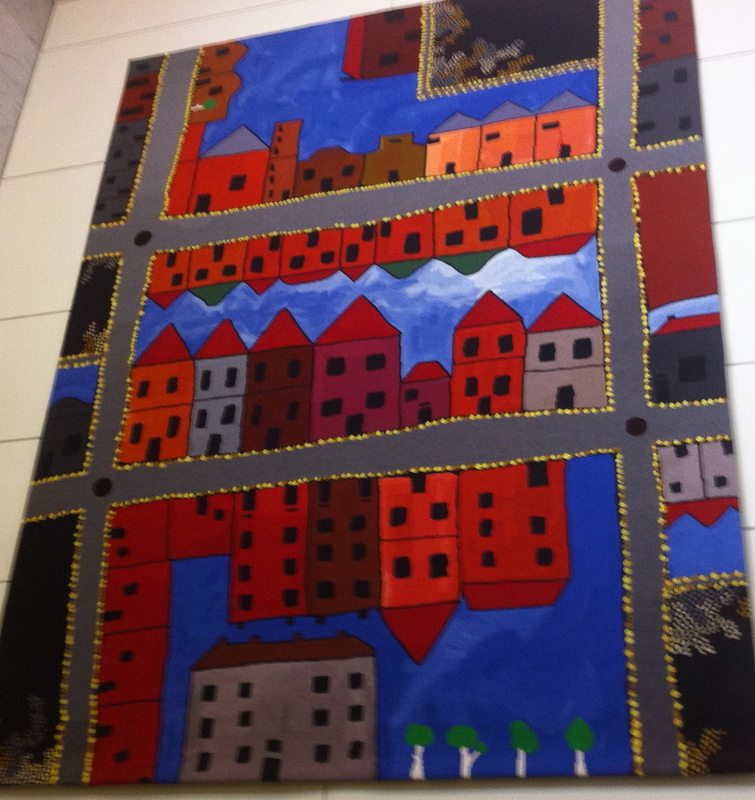 As such, it presents an interesting picture of residential life in Australia and its overwhelmingly suburban forms. Further, it highlights the challenges we face in meeting the ever-increasing demand for housing across the nation. I am grumpy, but not because this is a bad book. Granted, it’s not as revelatory as I had hoped when I first saw it, but I bow down to the combined expertise of these three voices, most especially for their insightful review of the history of housing types in Oz. I am grumpy because, yet again, I feel as though my own housing choice is treated as some sort of apparition, and one that illustrates a cultural divide rather than a legitimate alternative for healthy neighbourhood living. It’s true: the authors don’t intend to do this. In fact, they argue for accepting a range of housing choices in Australia, but along the way the ‘normalisation’ of suburbia leaves all other choices somehow marginal or insignificant when seeking to understand Australian residential culture. In my view, it’s the diversity that is much more telling about the health and well-being of our cities than the normalising of one housing type over all. The truth is, while city apartment living may still be a minority choice, the staggering growth of residential life in Melbourne’s heart over the past two decades is nothing short of extraordinary. This is opportunity, not apparition. And as for that ‘affluent minority’ that calls the city home … I can only say the writers really should get out more! A few weeks back I told the story of Samuel Pearce Carey, the 5th pastor of Collins Street. Carey arrived at the church at the turn of the 20th century, a time of extraordinary social change. As the 1900s kicked into gear, Melbourne’s suburban development was gathering speed, soon to be an unstoppable force in the city’s rapid growth. While Collins Street may have began in the 1800s as a local parish church—its members walking to worship from the surrounding neighbourhood—a serious makeover of its identity was now vital to its future. There was no end of advice for Carey and his deacons as they stared down this challenge of demographic change. 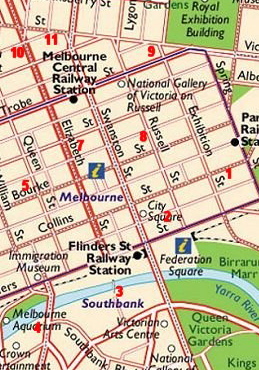 The national publication for Australian Baptists, The Southern Baptist, detailed Collins Street’s challenge: ‘How does one get in touch with the community when there is no community to touch?’ The answer, the editorial concluded, was in the drawing power of the church’s pulpit. For decades to come, it was this strategy that Collins Street embraced and with considerable success. 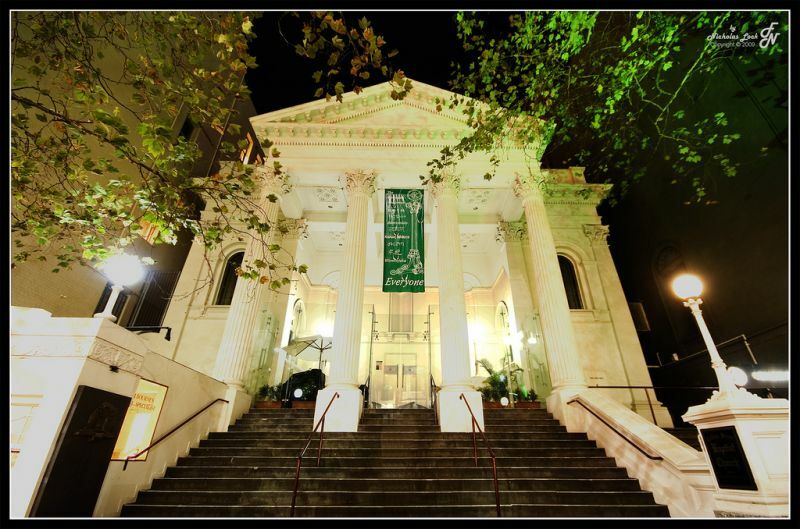 Though it would never again reach the heights of membership it knew in the previous century, Collins Street remained a bastion of fine preaching and traditional Baptist worship, a combination that drew people from the suburbs in significant numbers. Its metropolitan identity—a church of broad horizons—was mirrored in the ministry of the other city churches facing precisely the same challenge. What’s fascinating is that the turn of the 21st century has witnessed an equally radical change in the city’s demographic, but this time in reverse. While in the late 1980s there were just 700 people living in the CBD, today there are more than 20,000. Add to this the burgeoning populations of Southbank and Docklands and we once again have a city with a thriving residential life. What’s more, this growth shows no sign of slowing. Just last week The Age reported that while new home approvals across the state have plunged 25% in the last year, approvals in inner Melbourne have almost doubled, that’s more than 5000 new homes in the CBD, Docklands and Southbank in the last 12 months. The city now claims 10% of Victoria’s new homes approvals. The most recent projections estimate a CBD population of some 50,000 people in the next 20 years. 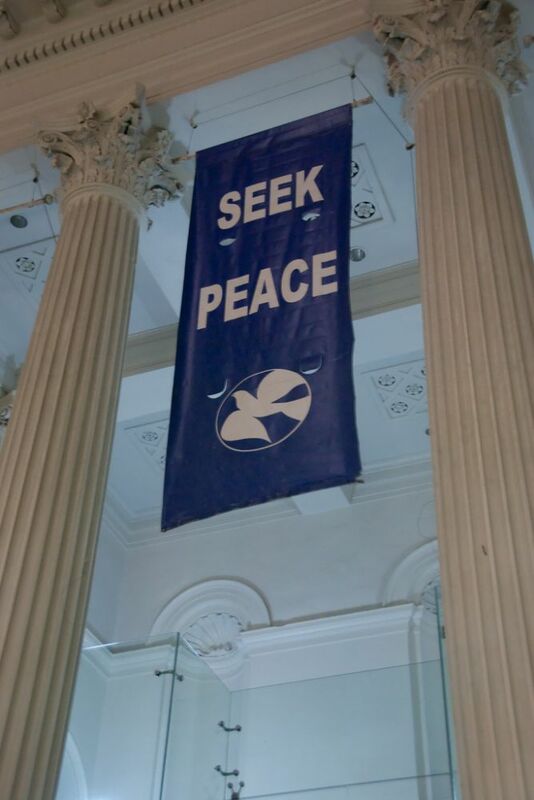 It seems to me that the challenge for a church like Collins Street is one of identity. Who are we and what do we aspire to be into the future? No doubt, a central city church like ours will always retain a metropolitan aspect to its ministry. But increasingly we must rediscover our parish identity—that most local sense of connection to our neighbourhood as it is today. For us, it’s a process that’s already begun, but an evolving sense of self is always challenging for a community. What do we hold onto and what do we let go? It was a challenge Carey faced a century ago. Now the challenge is ours. I don’t have a backyard. Nor do I want one. Not for me the blokey back shed and the weekly round with the lawn mower. No, my sixth floor city balcony suits me just fine. But from the reaction of friends and acquaintances, I’m routinely reminded that my housing choice, while fascinating to some, is viewed with narrow-eyed suspicion by others. Inner-city vertical neighbourhoods like mine may well have sprouted left, right and centre, but they’re still marginal. As cultural commentator Bernard Salt says, the backyard barbecue is still ‘the main game’ when it comes to understanding mainstream Australia. It’s true. Suburbia’s mythological ‘quarter acre block’ continues to host some of our deepest and most ingrained social longings. Though recent versions may well have shrunk, the suburban backyard is still gathered up in our cultural expectations of the good and decent life. 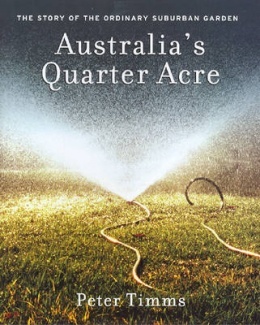 A great read on all of this is Peter Timm’s Australia’s Quarter Acre: The Story of the Ordinary Suburban Garden. It’s been out for a few years now, but it remains a fascinating defense of the suburban backyard at a time when suburbia and its sprawl is under considerable attack. Timms wants to say that while there is much to be critiqued about contemporary suburban forms, there is much about the suburban garden that is worth maintaining. Timms begins by tracing the origins of our infatuation with the suburban block and the numerous ways we’ve invested meaning in it. Through both backyard and front, Timms traces the subsequent changes to the Australian way of life and the ways we function privately and communally. He argues that despite the changes, our suburban gardens are still embedded with values important to what’s good about our way of life. Along the way he calls into question ‘the homogenising, rationalist approach to urban consolidation’ that, he says, ‘fails to take into account the subtleties and varieties of human experience’ embodied in the backyard. While my ficus is doing quite nicely thank you, I am happy to concede that Timms main argument is not really to do with me or my balcony. In the end, Timms is a great believer in what the suburban garden represents. He grieves the gradual internalizing of suburban life as residents retreat within, primping their gardens only as displays of status or expressions of urban lifestyle. All in all, this is a fine book. If you have any interest at all in gardens, suburbia, or even a potted ficus, this one’s worth a read.